 Our Cloud Business+ Linux hosting package is specified for resource hungry websites. Affordable and easy to manage, Cloud Business+ is ideal for e-commerce website or if you’re looking for improved hosting performance. The Cloud Business+ hosting account is designed to provide you with no nonsense, high performance web hosting. If you have high volumes of visitors, content or email then this package has everything you’ll need. Our Cloud Business hosting account comes with 445+ easily install apps, templates and software such as Wordpress for Blogging, Joomla and Drupal CMS software, Ecommerce software such as Zen Cart and Magento, Forum templates such as phpBB and SMF Forum and CRM software like SugarCRM. You can quickly and easily install any of these apps and templates through your control panel and they are FREE for you to use with your website. You can manage all aspects of your hosting via cPanel, the industry leading control panel, it’s easy to use and you can configure email, install software, setup redirects and lots more. You can set up professional email addresses through your control panel and unlike webmail that doesn't professionally represent you, you have the flexibility to setup whatever email address name you require under your domain name. Create the right impression and help promote your brand even with your emails. Cloud Business+ hosting gives you the option to host up to 50 different web sites and 50 MYSQL databases. This gives you scope to add more business sites as you need. The Cloud Business+ hosting package gives you generous disk space for your data and 400GB bandwidth*, so you don’t need to be concerned as your website and visitor numbers grow. All of our hosting packages are easy to upgrade. If you find you need more resources or different features, just email our team at support@hostingireland.ie or call us on 01 902 0020. Sometimes you may forget to update your website software which could leave your site vulnerable, but don’t worry we have you covered with our automated security patching. If you’re using commonly used CMS like Wordpress, Drupal or Joomla we’ll detect any potential vulnerabilities and safely patch so that your site continues to function. If your site is compromised we’ll also quarantine any uploaded malware. You will still need to update your software as a matter of urgency, but we’ll help minimise the risk. Hosting Ireland has a great reputation for customer support, so if you’re a first time novice or tech professional we’ll make sure you get the level of support you need. You can email us and our ticketing system we track all queries and monitor our response times and first time resolutions. If you prefer you can call us too and speak personally with a customer support technician.